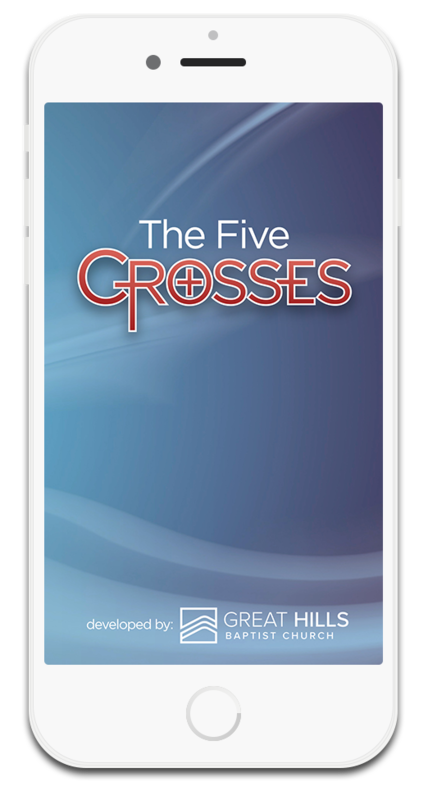 The Five Crosses is a method of sharing the gospel developed by Pastor Danny Forshee. It is a simple and easy to remember gospel presentation that focuses on the most widely recognized symbol in the world—the cross. Talk about familiar symbols. Some examples include the five Olympic rings, the Nike swoosh, and Macintosh computer’s apple. Draw them if you are in a place that will allow you to draw symbols. Briefly talk about what they represent. Now ask if they would like to call upon the name of Jesus for their salvation today! Click here to download the mobile version!